Fans of the Chevy Suburban will have to dig just a little bit deeper into their pockets this year if they would like to purchase the 2016 model version of Chevrolet’s largest SUV. Chevrolet has raised the MSRP of the base LS trim to $50,895, which is a $700 increase over last year and that doesn’t even factor in the $1,195 destination fee. The LT model will also see an increase of its MSRP, up to $55,925, which is good for a $555 increase from a year ago. The LTZ model wasn’t exempted from a higher price tag either, as the 2016 model will go for $65,505, making it $525 more expensive than one year ago. Consumers may find solace knowing the pricing increase also comes with increased features that include: lane keep assist, intellibeam headlamps, and head-up display (HUD). Back in May, Chevy announced the 2016 Chevy Suburban would come available with an 8-inch screen that will support Apple CarPlay. 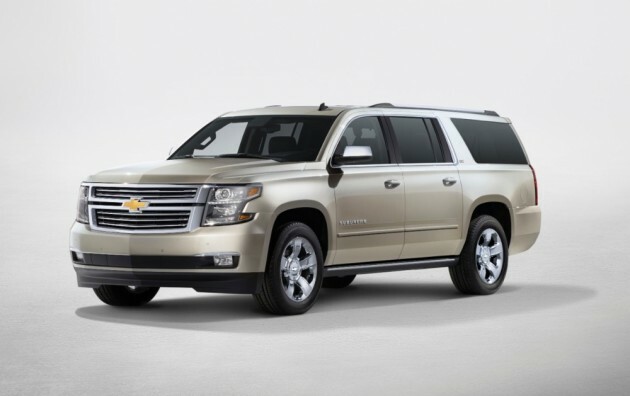 The 2016 Chevrolet Suburban will come equipped with a 5.3-liter V8 engine, with the option of either a eight-speed or six-speed transmission. Chevy’s price increase for the Suburban is particularly interesting, when considering sales for the SUV are down more than 10% over last year’s numbers.